What are students learning from each other on Out of Eden Learn? What do you think you learned from interacting with others in your walking party? What do you hope other students learned from interacting with you? Most of the students I talked to finished Learning Journey 1 with us this past fall. They were in the same walking party but from a range of geographic locations, including China, Iraq, Spain and different areas within the U.S. By looking at the interaction from the perspectives of different parties that were involved, we hope to acquire a richer understanding of student learning in Out of Eden Learn. Here I would like to share with you some of the things I noticed. 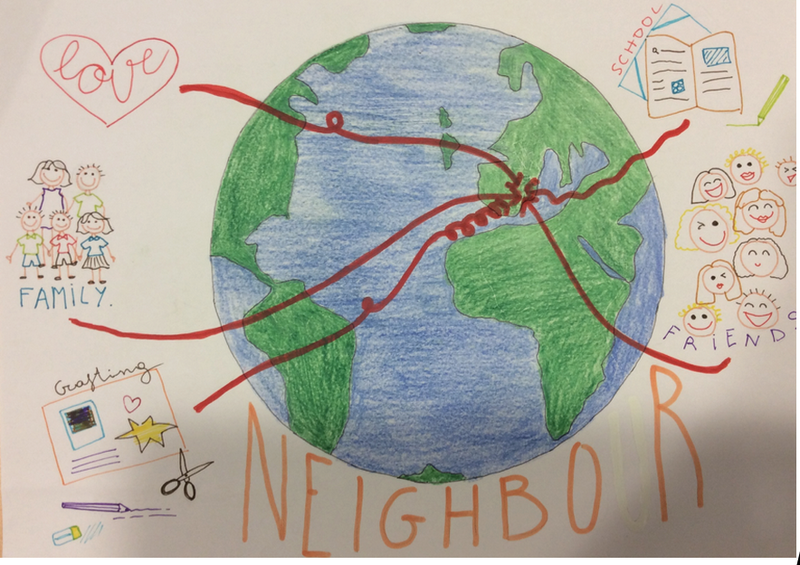 To begin with, students enjoyed the opportunity to learn about the differences and connections in each other’s daily life, such as in their schools, neighborhoods and cities. It seems that the students noticed how their life was different in some ways but also connected in others. Moreover, what they learned about each other might have surprised them. After finishing the learning journey, they discovered new things in the familiar as well as connections in what used to be the foreign and the unknown. It is evidence that Out of Eden Learn is inspiring at least some young people to look at the world with fresh eyes. These testimonies are evidence that young people from diverse backgrounds can each find their own way to connect with Out of Eden Learn. However, the question we are always interested in asking is: how could we keep making Out of Eden Learn better? A common thread here is students’ desire to confront stereotypes. To me, this raises two questions. First, how can Out of Eden Learn acknowledge and honor such desires from our students? Second, how can students respond better to such desires when they encounter them in others’ posts? I would like to highlight our current resources including the dialogue toolkit and community guidelines, which offer great advice on how to engage with diverse points of view in our online community. I believe we should think about how to more actively prompt students to use these tools in their interactions. In addition, I feel the need for students to learn more about each other’s countries and communities from more than just the online interactions, so that they can better contextualize others’ points of view. Perhaps this extended learning could take the form of offline research projects in the classroom. We welcome ideas in the comment section below.